Home Beauty Givenchy Holiday 2018 Red Collection Available NOW! Givenchy Holiday 2018 Red Collection Available NOW! Givenchy Holiday 2018 Red Collection is available now as a set of lipsticks and nail polishes. Give in to the Red Collection’s vibrant colors! 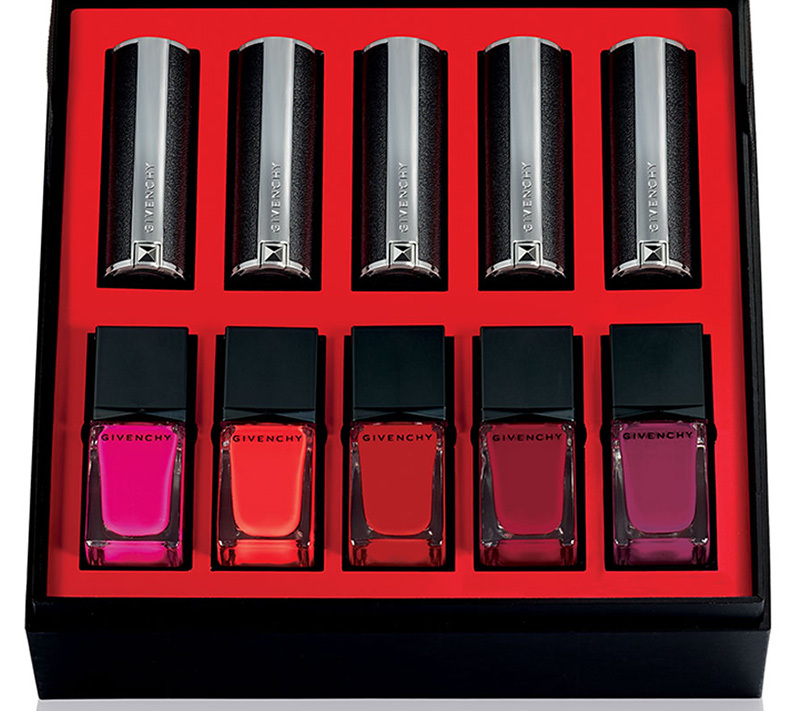 This set includes five iconic Le Rouge lipsticks by Maison Givenchy: Fuchsia Irresistible, Framboise Velours, Mandarine Boléro, Carmin Escarpin and Grenat Initié. These lipsticks are accompanied by five matching nail polishes so women can reinvent themselves every season and for every occasion. This unique set is designed for confident women who like personalizing their makeup to suit their every whim. Lipstick: Begin by defining the contours of the lips with a lip liner. Using your fingertip, gently blur the liner towards the inside of the lips, then fill in with Le Rouge from the center, working outwards. Nail Polish: Apply in long sweeping strokes beginning in the center of the nail then moving to the sides. Allow sufficient drying time (about five minutes) between coats for best results.